to get the latest information. In this article we will take a look at Stud Poker, which is a variant of the game that was very popular in the past, but which has been overtaken in popularity by Texas Hold'em, though stud poker is still available in live poker rooms and online on sites with a large range of games on offer. In this article it is assumed that the reader is familiar with the general principles of poker and with Texas Hold'em in particular. What makes Stud so very different from Hold'em is that on Stud that are no community cards. Although every player can see some of the other players' cards, every hand is individual. In fact Stud is a generic term for a large number of different games. For instance, there is Razz, three card stud, five card stud, six card stud, seven card stud, hi lo stud, Mississippi stud, Caribbean stud, Mexican stud and several others. We will look at seven card stud as this is the most popular version. The cards are dealt as follows. The first two are dealt face down, then four cards are dealt face up, and finally a card is dealt face down. Betting rounds take place after each first face up card is dealt, and after the final face down card has been dealt. There are slightly different betting structures, but we will assume that every player pays an ante before play begins. The player with the highest initial up card starts and may bet or check. His action is followed by a standard betting round just as in Hold'em. Next the second up card is dealt and there is another betting round which is initiated by the player with the highest ranking two up cards. This continues with each of the up cards and the final betting round follows the initial face down card. Players must construct the best five card poker hand from a combination of five of their cards. They may use any number of their face up cards and any number of their face down cards when doing so. The player with the strongest poker hand wins the showdown and collects the pot. 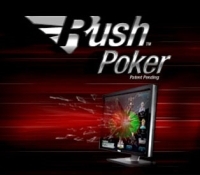 Try Rush Poker, the new form of poker created by full tilt poker. At a rush poker table you will never be bored or wait for your next hand. Whenever you do not like your hole cards, press the quick fold button and you will be instantly transferred to a fresh table. Your hand will be automatically folded for you when it is your time to play at the other table. Rush Poker requires a special strategy if you want to make money, and you can as most players do not play this new game optimally. Information contained on pokergameplus.com is intended for entertainment and information only. Although great care has been taken in the compilation and preparation of all content to ensure the accuracy of the information made available, pokergameplus.com cannot under any circumstance accept responsability for errors or omissions. In addition poker is not legal in all locations, so be sure to check the law applying to your place of residence to determine if playing online poker is legal. Poker Game Plus does not control the content of websites that link to or from pokergameplus.com. If you or someone you know has a gambling problem, please consult the National Council on Problem Gambling at http://www.ncpgambling.org/. Copyright © 2014 Poker Game Plus. All Rights Reserved.